My aunt brought these for us to snack on. 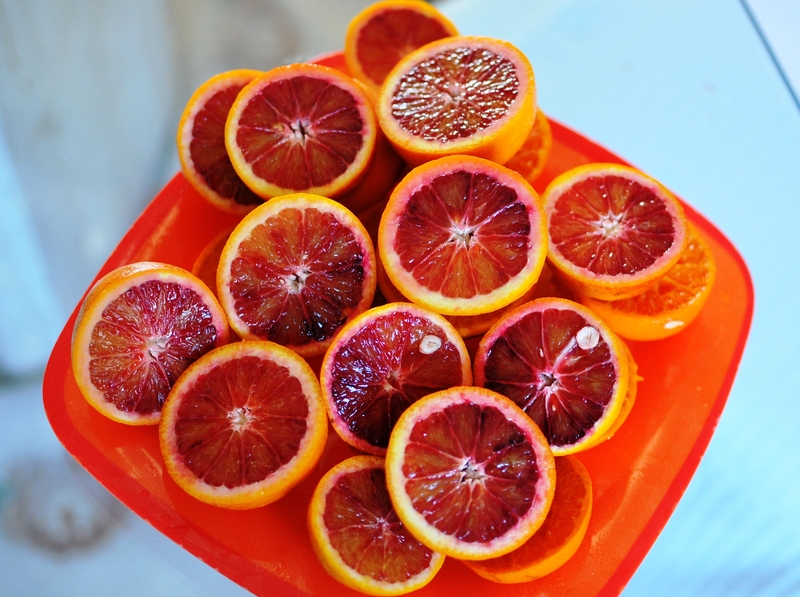 This is the first time I’m seeing these – blood oranges. And yes, they really were red, although the outside looked like the regular orange. I tried a bite, and yes, it was sweet. But I still couldn’t get myself to keep eating it. My FAVORITE olive oil is Blood Orange infused. It is fabulous!! 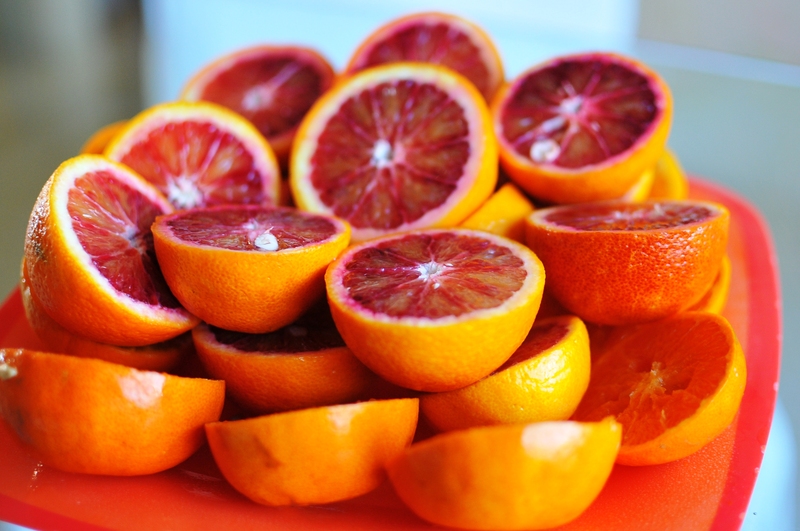 I want a Blood Orange tree so badly!! This just spurs on my want even more!! 8-)) Wonderful pictures! I love your blog! These fruits came from my aunt’s garden – she lives in the LA area/suburbs. She brought over a whole box, which is why we had to squeeze them. I don’t know if they’re hard to grow, but when you’re ready, let me know and I’ll ask her if she can send over a … seed? shoot? branch? … to get you started.